Yesterday, the state House of Representatives approved legislation to allow a program for industrial hemp research. If approved by the state Senate, it could return to its status of being the nation’s largest hemp producer. HARRISBURG, PA. – Yesterday the state House of Representatives approved House Bill 967 that outlined a pilot program for the PA Dept. 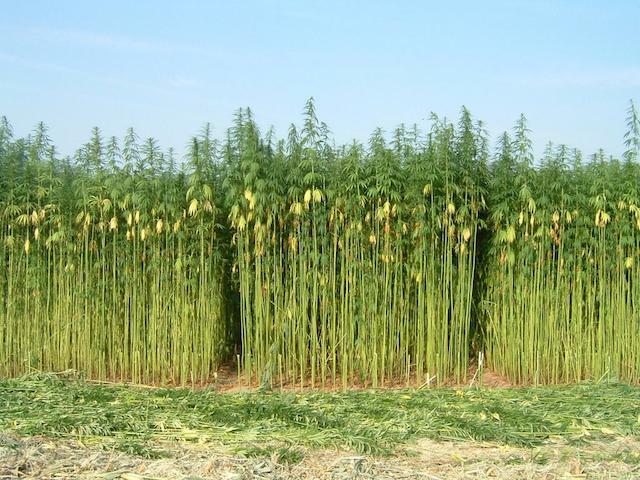 of Agriculture to contract with private farmers to cultivate industrial hemp for research. “Today’s vote is an indication that our Pennsylvania Legislature acknowledges that this crop has an important role to play in the economy of our State. Its passage in the Senate last month followed be this vote today shows that PA’s leadership is serious about returning this crop to our farmlands”, said Geoff Whaling, President of the Pennsylvania Hemp Industry Council. “The Bill should move to the Senate Rules Committee for a concurrence vote later this week and then off to the Governor’s desk or signature”. The Bill was overwhelmingly approved, an 187-0 vote ushered the legislation through the hallways of the House and into the hands of the PA state Senate who will likely place its stamp of approval on the legislation. Until the 1940’s, industrial hemp was a main cash crop of the Commonwealth. Pennsylvanian farmers led the nation in hemp cultivation, creating a plant that has shown efficacy for thousands of uses, including rope, canvas, seed oil and livestock feed. The return of hemp to the Commonwealth of PA suggests that PA legislatures have returned to their understanding of the value of hemp cultivation. Today, the crop is considered the most sustainable, nutritious and versatile crop on the planet. Our modern applications of hemp and its uses have far surpassed the wildest imaginations of our ancestors. Because of the prohibition on cannabis in the United States, American’s have been restricted in their access to industrial hemp. We have been missing out on the lucrative opportunities that hemp cultivation provides. Not only have we been exporting our dollars to countries that cultivate hemp, but we have been exporting many valuable jobs. As Americans, we are tuned into products that are made domestically—American Made! We have shown significant interest in the cannabis industry that now includes, on some levels, hemp. We are investigating new uses of the cannabis plant, and hemp is beginning to take center stage. As we experiment with hemp and its myriad uses, we should feel comfortable knowing that the hemp in our products is produced at the highest American standards. CW Botanicals, the creator of Charlotte’s Web hemp extracts is just one of the companies that is taking advantage of pro-hemp legislation throughout the country. As more states begin to open the gates for hemp cultivation for research, we can rest assured that companies like CW Botanicals will pursue research into the plant that is focused on improving the quality of life of people worldwide. Have you used an American made hemp product? Do you know the difference? Let us know on social media or in the comments below.